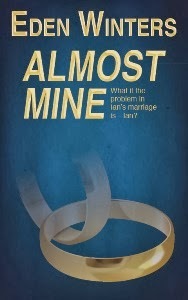 Enter to win an e-book copy of Almost Mine at Stumbling Over Chaos. And be sure to properly admire the lovely Mayhem and wily Chaos, two of my all time favorite kitties. Also, check out the linkety, Misadventure in Stock Photography, and other giveaways. Say hi to site mistress Chris while you're there. Aw, thanks for the kind words! :) Did the storm hit you??? You're welcome! Thanks for hosting the contest. We got a record amount of snow, I believe, and some ice. Work was cancelled for two day. I dug through the garage for my old hiking gear and trudged three miles to town and back, taking some great pictures. The sun came out yesterday afternoon and started melting everything, but it will take a while. Work is delayed today but I have to go in later. How are things up there? Not snowing (maybe tomorrow and Sunday) and going to be warmish (for us this winter at least) at around 20 - maybe close to 40 on Monday!! !